Here's one hell of a tattoo. 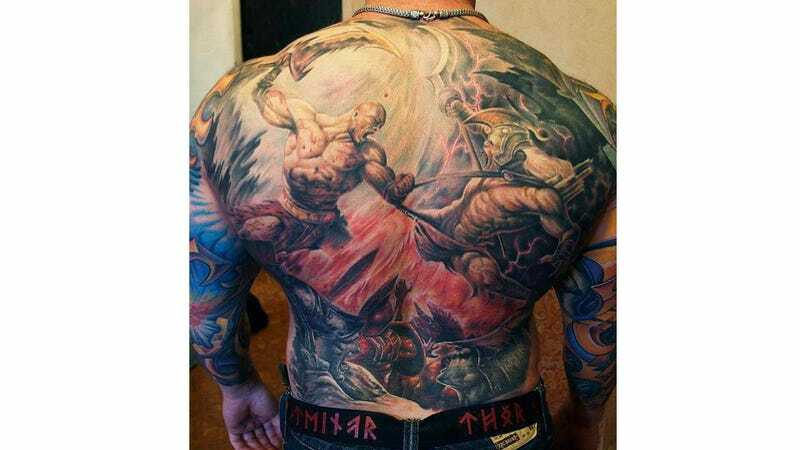 That's Kratos from God of War on some guy's back. It's just one of a pile of amazing God of War-themed fan images submitted to the series' massive community page on Facebook. Want to see wild Kratos cosplay shot on the subway? Or a tractor trailer cab painted with God of War stuff? As far as whose back this is, I'm not sure, but the same image was posted by one Roman Kuznetsov earlier this year to TatooArtists.org. Maybe you've seen an impressive gaming tattoo or two? If so, share it below.